With a possible rise in the oil import bill looming large due to the Iraq crisis, India is slowly turning to Iran for supplies. Ever since the unrest in Iraq broke out, India, Asia's second largest energy user, has been on edge. On June 24, conflicting reports about the capture of Baiji oil refinery in northern Iraq by the Sunni rebels sent jitters through the Indian establishment. It is Iraq's largest refinery and contributes one-third of the country's oil output. Since 2012, Iraq has been India's second biggest source of oil imports after Saudi Arabia, supplying more than 20 million metric tonne (MMT) every year. Before that it was Iran. And now India seems to be once again looking towards Tehran for help even as the US tries hard to hammer out a political consensus in strife-torn Iraq. At the petroleum ministry in New Delhi, Dharmendra Pradhan, newly appointed minister, is anxiously monitoring the developments. The ministry is officially in a 'wait-and-watch mode' as supplies to India come from the Basra oilfields in southern Iraq. "This place is far from the conflict zone. There is no immediate worry of supply disruption," Pradhan said. A senior official at the ministry said India can't do anything except hope that the conflict does not spread to the south of Iraq or the rebels don't capture the capital, Baghdad. Pradhan had, on June 19, asked the oil marketing companies (OMCs) to be ready with a contingency plan in case of any possible supply disruption. He apparently told them to prepare both a short and mid-term plan, including diversification of the oil import basket. However, BJP's national convener of its energy cell Narendra Taneja said the challenge for the government was not about managing supplies. "It is about rising crude oil prices and increasing import bill. Its high time we diversify our sources of crude oil," he says. According to the ministry officials the immediate plan is to import quality crude of the same quality from Iran to ensure steady supplies. An official said Iran is the most economical option as imports from Latin America and other far-off regions would entail higher transportation costs. "But the hindrance is the UN sanction on Iran that does not allow countries to increase their imports," says the official. In a bid to smoothen the switchover, officials in the Prime Minister's Office (PMO) have already started the process of paying 30 per cent of the $4.2 billion that Indian refiners owe Iran. This amount apparently was held back because of the US-led UN sanctions against Iran over its nuclear programmes. Ministry official say the amount will be paid in US dollars and would be transferred through UAE's central bank. Iran reportedly was upset with the previous UPA regime over the delay in payments and also with India's flip-flop over investment commitments in Iran's oil exploration sector. Since 2009 India had consistently reduced oil imports from Iran and increasing those from Iraq to the same extent. In 2008/09, India imported 21.9 MMT from Iran, and since then it has been on the decline. Officials in the Ministry of External Affairs told Business Today that Iran has not reacted to the feelers sent by the Indian establishment and the OMCs to increase oil shipments to India. "Don't expert Iran to take these developments easily," said an oil expert. Pradhan, who was in Moscow to attend the Global Petroleum Congress from June 15 to 19, had held talks with the senior officials of the OMCs on the issue there itself. Meanwhile, India's ambassador to the US S. Jaishankar has been asked to take up the issue of sanction on Iran with the US lawmakers and seek further relaxation. The US along with the European Union (EU) had recently relaxed some provisions but Iran still cannot increase its oil exports. India has already imported 50 per cent of the 19.4-MMT crude from Iraq this year. "We continue to get supplies from Iraq. 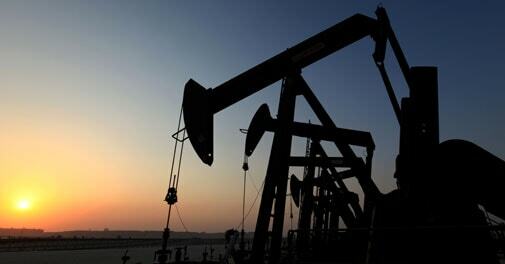 Most of the oil fields from which Indian companies are sourcing oil are in southern Iraq, which is presently away from the conflict zone," says Indian Oil spokesperson. IOCL along with Hindustan Petroleum Corporation Limited (HPCL) together will import 20 per cent of their oil needs or 18.7 MMT from Iraq. Meanwhile, in his North Block office Finance Minister Arun Jaitley is busy with officials and other stakeholders preparing his maiden Budget. But the Iraq crisis continues to be a worry for him too as it has pushed up the price of Brent crude. It has risen from $109.52 a barrel on June 10 to $115.71 on June 19, the highest since September 9 last year. According to back-of-the-envelope calculations of the ministry, at the current price, a one rupee depreciation against the US dollar would push up the total annual under-recoveries by Rs 7,900 crore. A dollar per barrel rise would lead to Rs 4,400-crore increase. "If the crisis persists, it would lead to both," says Anis Chakravarty, Senior Economist at the India chapter of Deloitte Touche Tohmatsu. Meanwhile, the rupee has depreciated to its lowest level in recent times in the last seven weeks. "This can have a cascading effect and could lead to short-term inflation," says Anis. Indias dependence on Iraq for oil has also delayed diesel price deregulation. The mid-June under-recovery of Rs 1.6 per litre on diesel has already crossed Rs 2. Private OMCs like Essar Oil, Reliance Industries and Shell India were waiting for the diesel price to match the market price so that their retail outlets could increase sales. R.S. Sharma, former CMD of Oil and Natural Gas Corporation (ONGC), lived in Iraq for three and a half years. "My experience says that this crisis will live longer and would worsen over time," he says. The only solace currently for India is that roughly 3.5 million barrels of surplus crude oil is available in the international market. This is mainly because in the last two to three years the shale oil and gas revolution has helped the US cut down its dependence on oil imports. Sharma says this could impact oil import bills. In January, the then finance minister P. Chidambaram had at the bi-annual Petrotech Event said that India could not afford an oil import component of $164 billion in its total import bill of $491 billion in 2012/13. The situation has only worsened since then. India consumes about four million barrels of oil a day, of which 78 per cent is imported. Even a small change in price and currency position affects the oil import bill. "Currently the situation is manageable but if crude price touches $120 barrel a day, the situation might go out of our hands," says Taneja. To Indias comfort, the crude price has not gone as high as it did during the Syrian crisis in September 2013. The price had then jumped by more than 10 per cent in a week. Indias short-term options are limited -» push for easing sanctions on Iran or wait with bated breath for the peaceful settlement of the Iraq conflict.